Behold the latest addition to the wealth of High Line merchandise that's come out since the elevated park opened earlier this summer. 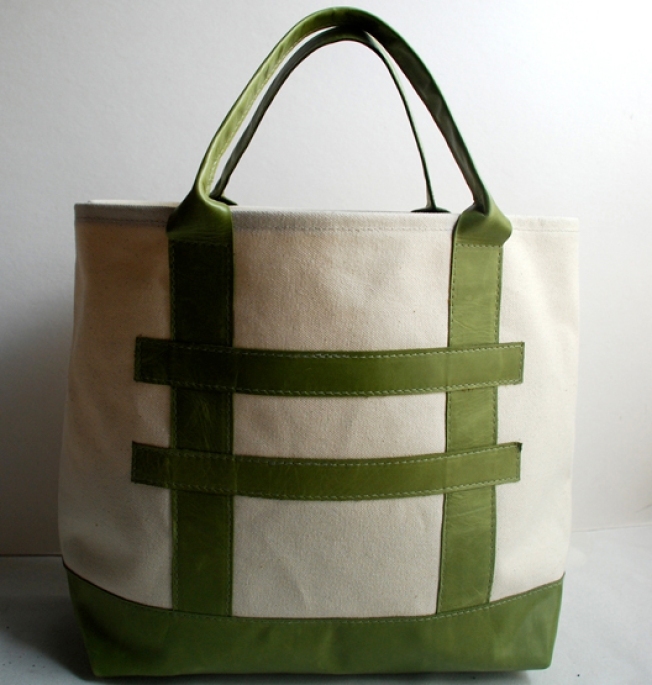 It's a sturdy tote bag by Charles Nolan with supple green leather straps, and it goes for $95. Which, of course, presents us with a serious question: Which do you prefer, Nolan's minimalist bag or Anya Hindmarch's literal one, which depicts the Line back when it had actual train traffic? Hindmarch's tote costs $150, if that helps you make up your mind.